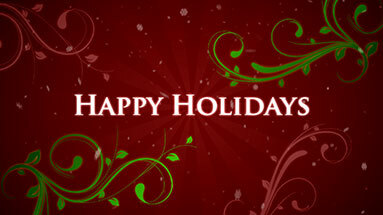 With the holiday season approaching, Precomposed would like to give away a little gift! Here is a simple holiday title (for Adobe After Effects CS3+), featuring animated flourishes, various styles of snowflakes falling with simulated depth of field, and a rotating sunburst. Snow was created with CC Particle World (built into After Effects), utilizing a custom snowflake texture for the particle. If you own Trapcode Particular, you can achieve enhanced depth of field results using the snowflakes from this project. Feel free to animate the camera controller, move the flourishes around in 3D space, and do any modifications to the project to fit your needs. We had a couple people email us about a bug in Encore that caused the menus to not display when using the dynamic link feature. It was difficult to troubleshoot the problem because we could not reproduce it here on our end. We recently encountered the problem and quickly got to work on a solution. We are proud to have had our Retro Fusion menu used by vLoungevideo. 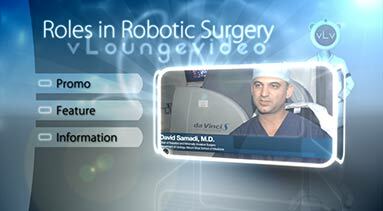 vLoungevideo produced a feature on the da Vinci Surgical System for the Institute for Health Technology Transformation (iHT2). Our latest Pro Motion Menu Kit: 06 – Retro Fusion was customized and used to author the dvd and provide label artwork. I also thought it would be nice for you guys to finally see the main menu of retro fusion, since the preview on the product page only displays the transitions. Now you get to see the main menu in it’s entirety. Enjoy! 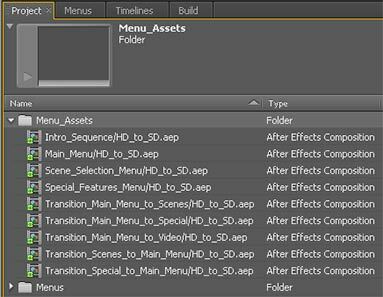 Recently we were authoring a Blu-ray project using one of our Pro Motion Menu Kits and kept having repeated issues with Encore crashing during the rendering of the Scene Selection Menus which had “Animated Buttons” (allowing motion video inside the scene selection boxes). Repeated attempts proved the crashing happened at random points during the rendering of the menu. We have slightly updated our Pro Motion Menu Kit workflow for those of you needing to create both Blu-ray and DVD menu assets. Instead of rendering out the menus twice for each size, it is much more efficient to render it once for Blu-ray, then just scale those assets down for the Standard DVD, saving you hours of render time.